How to show page survey multiple times on one device? 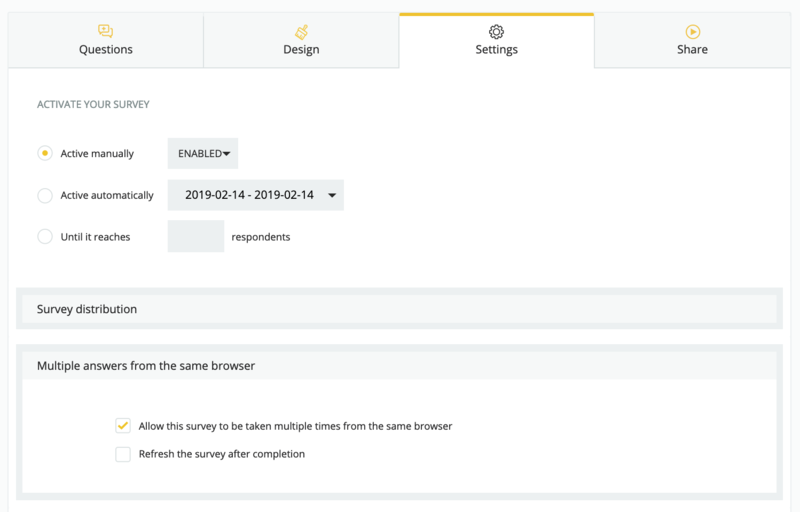 If you are a pollster trying to survey people on the street, or want to allow your respondents to answer one survey multiple times, you might want to use kiosk mode - a special feature enabling multiple answers from the same browser. How to allow users to answer multiple times from the same device? You need to go to ⚙️Settings section of your Page survey and tick Allow this survey to be taken multiple times from the same browser box.